Red Dot has always been a company which promotes choice for our customers. We are also a company with a strong set of values: we have always been committed to campaigning for responsible tourism. We take our responsibilities to the environment, local communities, local wildlife, customers, partners, and employees very seriously. As with any company, this is a learning curve for us. Since we launched 15 years ago, we’ve learnt and adapted more than we could ever have imagined. Elephant issues in Sri Lanka have long been a concern for us. 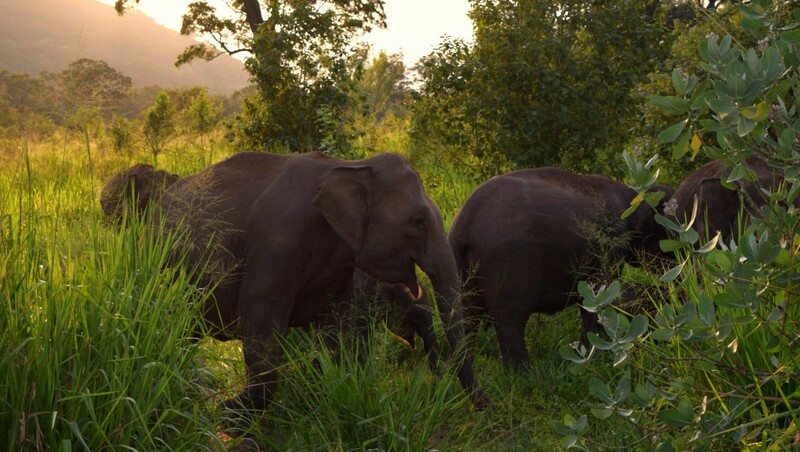 The image of the elephant is so iconic to Sri Lanka that it has become intrinsically linked with tourism on the island. When Red Dot started out, there was very little awareness of sustainable elephant best practice. It was understood that Asian elephant numbers were dwindling and that they were classified as endangered animals, but elephant rides were, for a long time, promoted as a normal part of tourism to the country and we admit that we were a part of this. In recent years substantial press coverage and courageous attempts by animal rights groups have brought the issue of elephant riding into a new light. The issues behind this practice are complex and often travelers – coming, for the most part, from countries without any elephants – are unaware of the problems that occur from riding the animals. Elephant rides are often sold on the explanation that the elephants have been ‘rescued’ either from poachers, as part of the human-elephant conflict, or from grueling work in logging industries. However, we have learnt from experience that this is not always the case. Many elephants are sold into captivity and over the years Red Dot has begun to cut ties with any organizations we felt may be performing malpractice by clearly exploiting these issues for their own gain and harming elephants either physically or mentally. More recently, we have also started to cut ties with any companies offering elephant rides which include howdah (trekking chairs). These chairs often weigh more than your average person. If you then add the weight of a mahout (elephant trainer) and the six people who would normally sit in the chair, it’s an agonising burden on the elephant. As a result of the chairs often being left on for the major portion of the day, many elephants develop sores and cuts on their backs. Anyone who has spent time in a tropical country will understand that open wounds do not easily heal in Sri Lanka and often become quickly infected. We would like to officially state today that we will not offer howdah elephant rides on any of our tours. As an alternative, for those who wish to get up-close-and-personal with elephants, we offer an opportunity to visit The Millennium Elephant Foundation, where visitors can learn about elephants, their care, and their wellbeing. Currently at MEF visitors can ride elephants naturally behind their ears, with no trekking chairs involved. This, we would like to make very clear, is not an experience that will be offered by Red Dot. This does not mean we want to cut our ties with MEF completely. MEF are now looking at ways to slowly phase out rides. As with all changes, the process is slow and there are many levels of bureaucracy that stand in the way of responsible development, but they continue to battle hard against a very difficult situation and are unceasingly pushing for more rights when it comes to their elephants. Decisions regarding the elephants eventually come down to their owners. MEF does not own any elephants, they simply offer a sanctuary where elephants can be looked after, receive medical treatment, and eventually retire. Ultimately, without approval from the owners, MEF has little say in what happens to the elephants. They can only continue to try to look after them and advise the owners as best they can. We recently re-visited MEF and felt that they are heading in the right direction and are still badly needed in a country which continues to breed elephants into captivity. We are now in the process of curating an experience with them which does not involve ANY elephant riding at all. In the experience, travelers would still have the opportunity to interact with the elephants in the form of walking alongside them but would also get the chance to meet with one of the elephant experts who works there who can explain the complex issue of captive elephants in Sri Lanka and its impact on the island as a whole. We hope that this educational experience will eventually enable change. The current elephant tourism situation is so lucrative that it seems unlikely it will disappear anytime soon. Our dream is that by educating travelers, it will urge them to push suppliers to discontinue elephant riding and allow them to see that it is still possible to generate tourism without the inclusion of elephant riding. Better still is the opportunity to see elephants in the wild. There are a number of national parks in Sri Lanka that offer unique opportunities to see not just elephants, but leopards, sloth bears, and a plethora of other animals living as nature intended. Of course, the national parks come with their own set of problems too, but Red Dot feel that the most magical wildlife experiences are those which occur naturally – an elephant passing your jeep on its way to a water hole, the chance sighting of a leopard up high in a tree, a spotted deer grazing in the long grass. These are memories that will stay with you for a lifetime. We will continue to promote the viewing of animals in their natural habitat as the absolute best way to get to know the wildlife of Sri Lanka. After 15 years in the business, we are proud to say that over the years we have greatly increased our knowledge and understanding of how best to protect wildlife and we will continue to support those companies who share a similar dream: to conserve the beauty and diversity of this country, its inhabitants, and its amazing range of wildlife. INSIDE SRI LANKA A monthly insider’s report by Royston Ellis, May 2015. INSIDE SRI LANKA – A monthly insider’s report by Royston Ellis, June 2015. Thank you very much for trying to stop the elephant rides. It took so long before the secret training of the Phajaan became worldwide familiar to people because of the multi media (smartphones & FB). In the Netherlands we have advertising campagne running to let people pledge never to ride an elephant. Hopefully in the future elephant rides will be from the past. Thank you! What a gift to learn something good, caring and friendly concerning these imposant and wonderful animals! My heart jumps of joy! Thank you for leading with such great example. This change has taken too long but with all that we know now there is no excuse, we can’t continue ignoring the suffering of our beautiful gentle elephants! Thank you for making the right decision. We need to protect our dwindling elephant population in Sri Lanka and educate others that still continue to use elephants for entertainment. It is cruel and unnecessary! Thank you so much for making this change, you are amazing!! I have a question, is there any chance you could take temples that keep elephants off of your site seeing list?? They are kept chained all day and go through terrible suffering. Right now Ganga at the Gangaramaya Temple is not not being taken care of at all, and is being abused and neglected. There is a video of her being beaten by her mahout. On the TripAdvisor website, there are about 40 terrible reviews because of Ganga being chained. It just doesn’t seem right to send tourists to a temple that is doing this. In Sri Lanka elephant rides only practice by very few people, even you can count by your fingers, only in habarana, sigiriya and pinnawala. If you care about the elephant stop all activities which include tamed elephants and instead promote safari to experience and feel them how they enjoy natural life out in the jungle…. Thank you SO much. Thank you on behalf of the beautiful elephants. Hopefully so much awareness rises that soon elephants will have a natural life again, and tourists will be able to see them roam in the wild. Or at most “walk with elephants”. Thank you again. May your organisation be blessed. Thank you so much for taking this ethical step, Red Dot! May other travel companies follow you – quickly! This is a giant initiative and a big step in the right direction. Nice article, of course there are your own reasons to do that. because I think, riding an elephant is one fun activity. and it may only be in get in Sri Lanka. Because in this tourist location, the elephant is a very important icon for the people of Sri Lanka, and this is one good moment if we could do this activity. thanks for the share. good post. I have just read this report and think it a wonderful thing that Red Dot are doing! I admit that on my first visit to SriLanka being very fond of elephants it was my dream to ride one in order to get close up and personal. However after the first ride I refused a return journey and walked back, seeing them being ridden was not good and I believe they should have a more peaceful and natural life. I did get close and helped bath them at another place, actually sitting on one whilst scrubbing its back, also fed with milk bottle a little one. It is vital that everything possible is done to preserve the creatures, giving them as much natural life as nature intended. We can view and admire them adequately on their terms, NOt Ours!! Visiting again next year and will look on them all very fondly. Poachers must be stopped and any found punished severely and I think everyone can try to educate such people to learn that it is a dreadful thing to get involved in, China and other places will in years to come regret the need for the tusks – keep them on the elephants where they belong! !